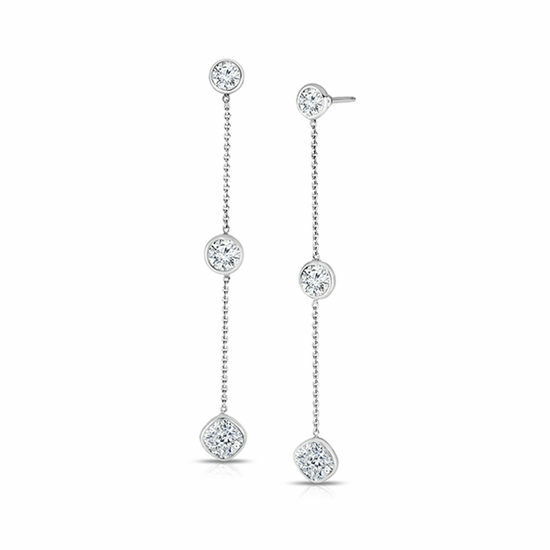 Enchanting and beautiful, these white gold double drop diamond earrings are a necessity! These chic earrings are a great gift that she can wear for any special occasion. Our Double Drop Diamond Earrings can be custom ordered to your desired carat weight in 14k and 18k white, yellow, and rose gold. Each setting has been custom designed to fit the exact proportion of the diamond. Email [email protected] or call 212.566.8977 for custom orders.